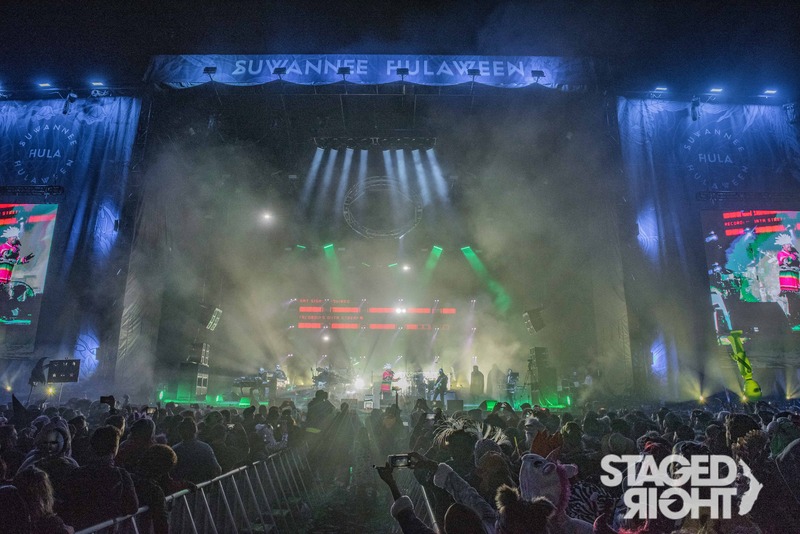 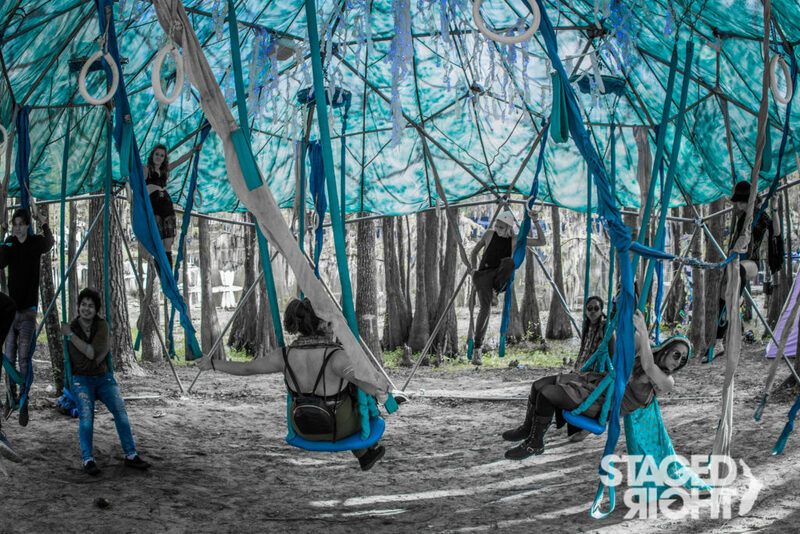 Speaking as somebody who’s lucky enough to attend and review music festivals as part of his vocation, I must acknowledge that Suwannee Hulaween bursts through the stratosphere into rarefied air, it’s own ebullient brand of epic. 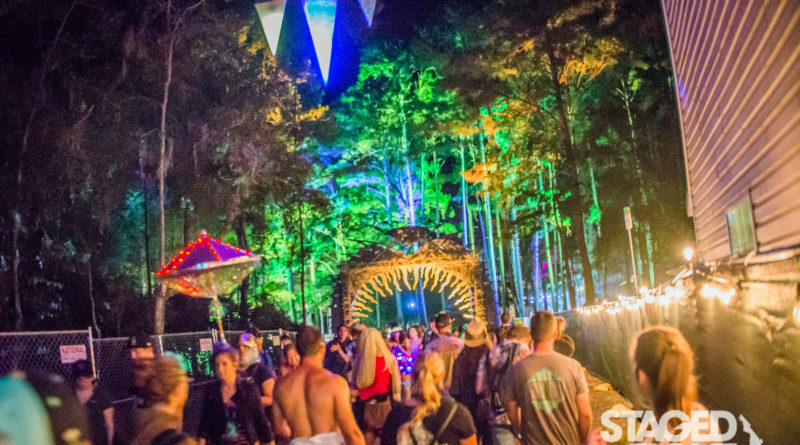 The massive jamboree takes place in the breathtakingly beautiful environs of the Spirit of Suwannee Music Park in Live Oak, Florida, at the end of every October. 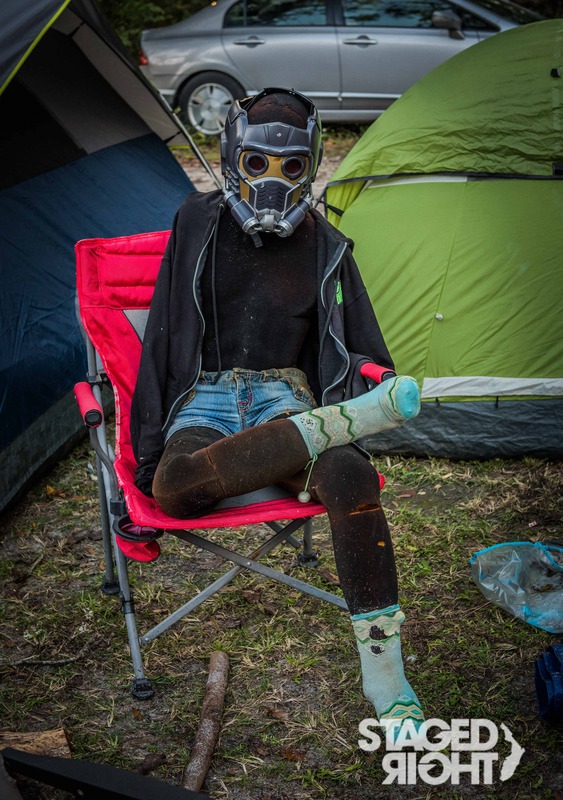 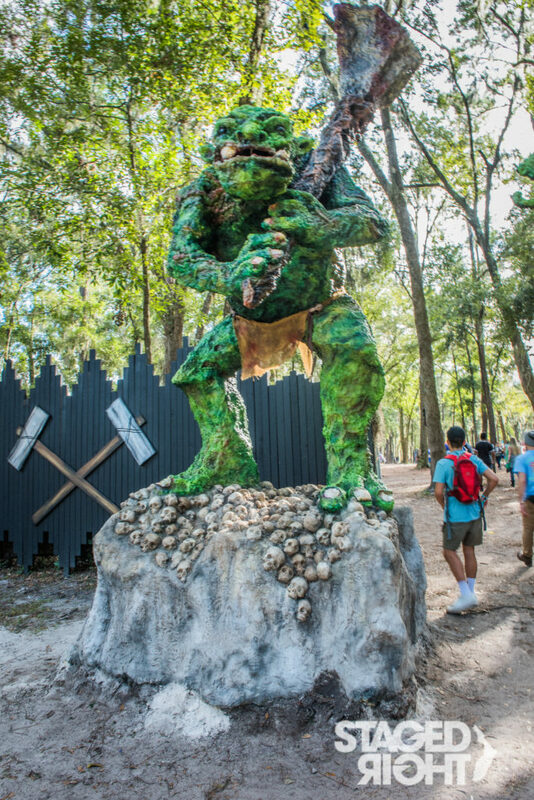 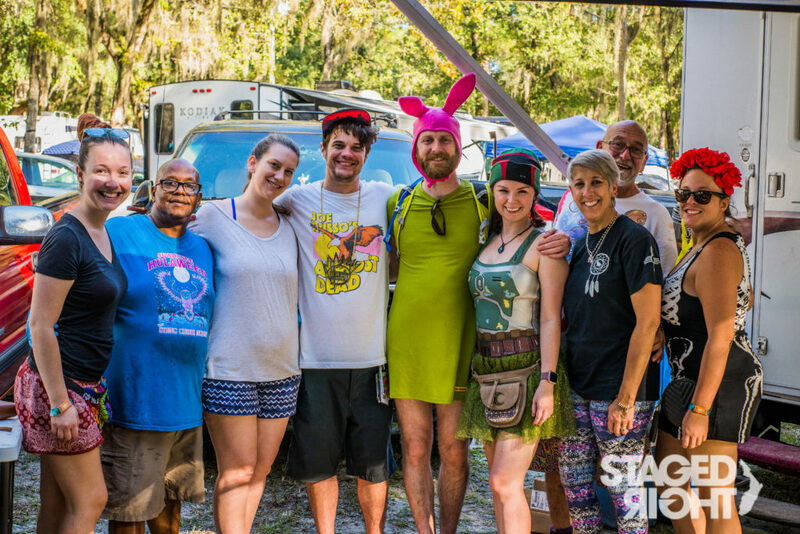 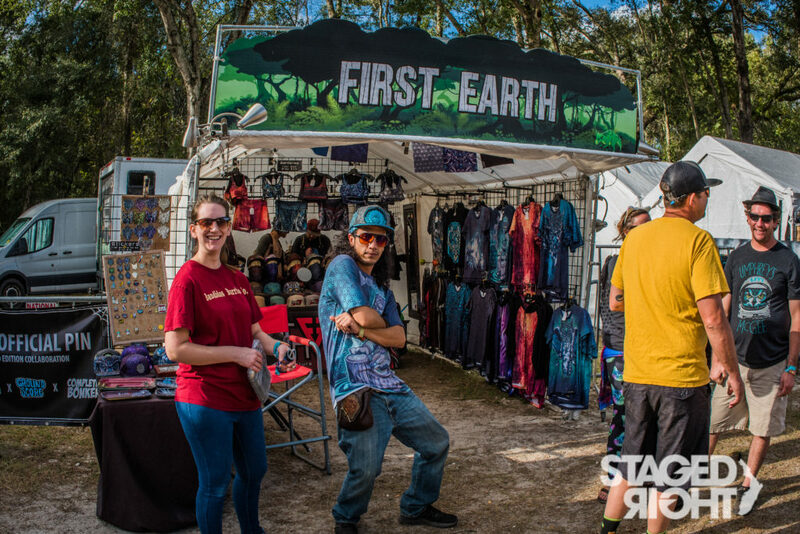 It falls as close to All Hallow’s Eve as possible while still landing on the weekend, and this year saw the festival reach the highest and most exalted heights in its glorious six-year run in the swamps of Northeast Florida. 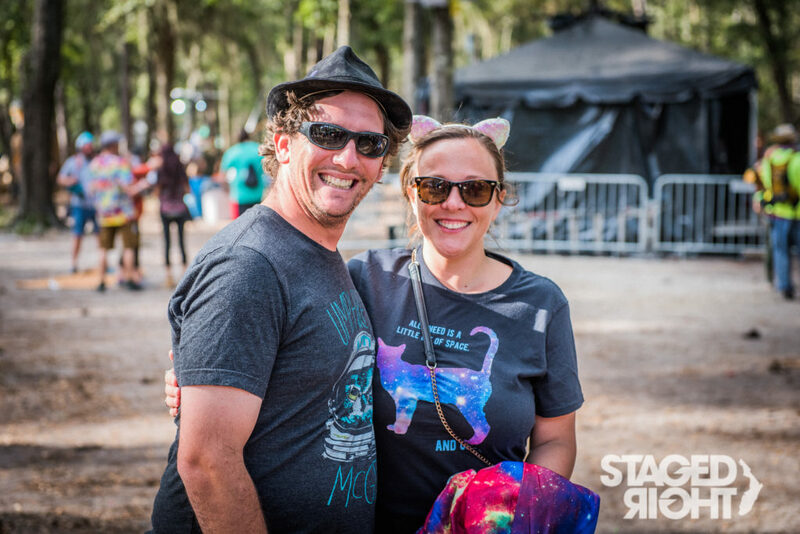 Through the years of festivals at SOSMP, many have written of the towering oak trees, the whispering Spanish Moss dripping from the sky, and the stoic, proud river that runs through it. 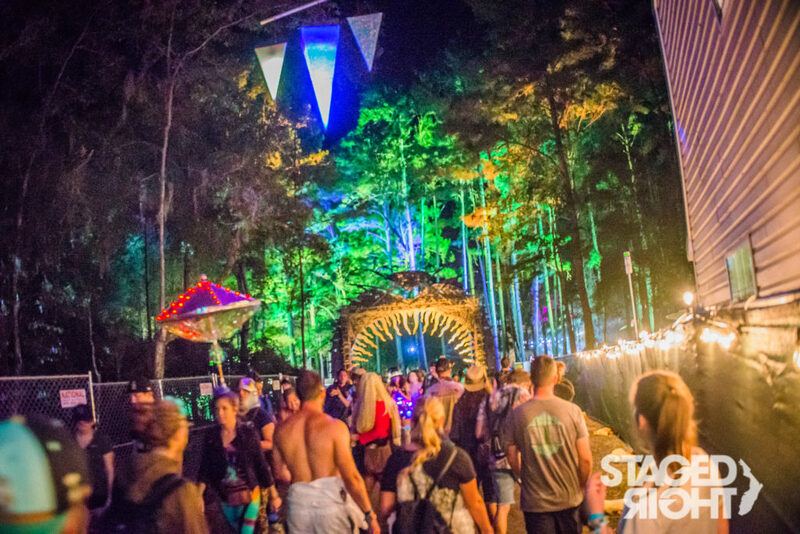 It is nothing if not a majestic natural kingdom of iridescent wonder, the ultimate organically psychedelic playground, of sorts. 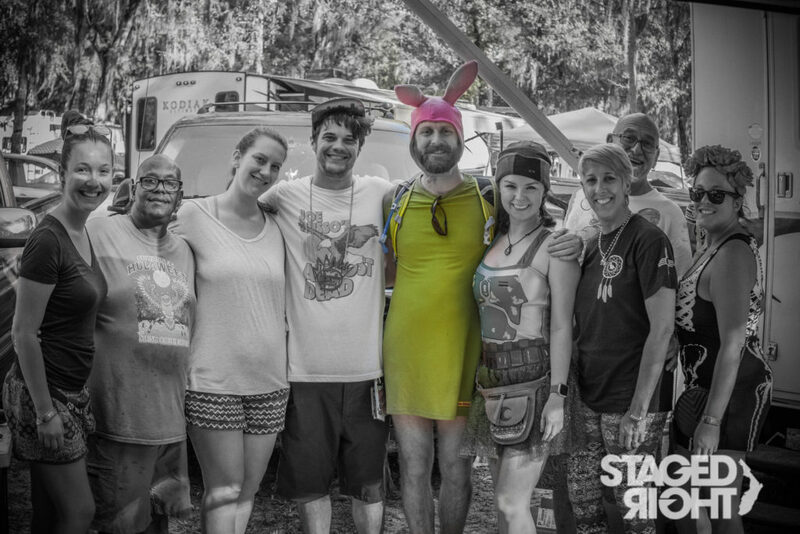 Now Staged Right is here with the images to prove it! 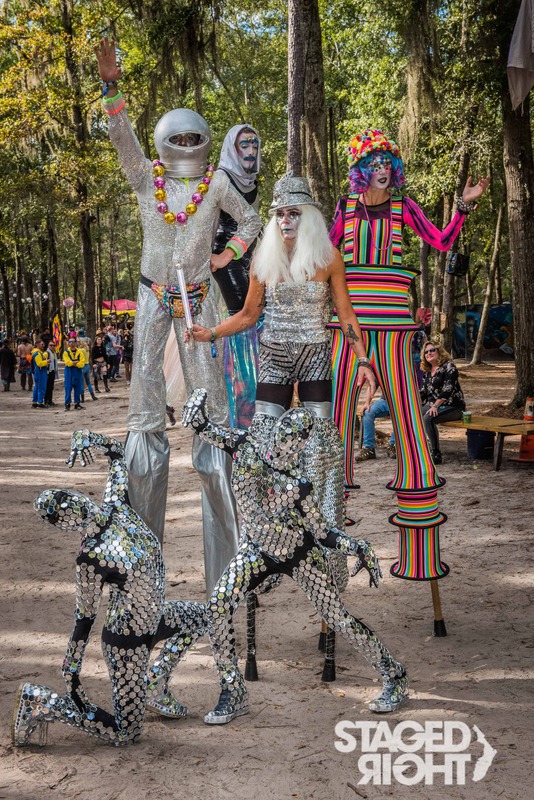 Hulaween sets up shop in this fantasy-land, combing the cutting edge in jam, electronic, roots and underground music cultures with the finest and most picturesque festival venue in the continental U.S.. HULA has already risen to the top of the mountain; in 2018, tickets sold out well in advance once again, though the fest did not sacrifice its soul, mojo or artistic integrity to achieve its phenomenal success. 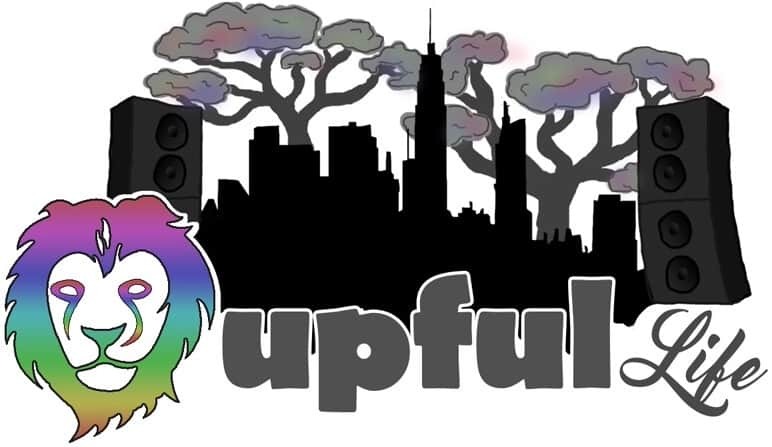 The event draws a peculiar cross-section of classic hippies, hyper-kinetic club kids, and neo-tribalized millennials into a whirlwind danceteria that inclusively welcomes the ghouls, ghosts and goblins of contemporary psychedelic sound, art, and culture. 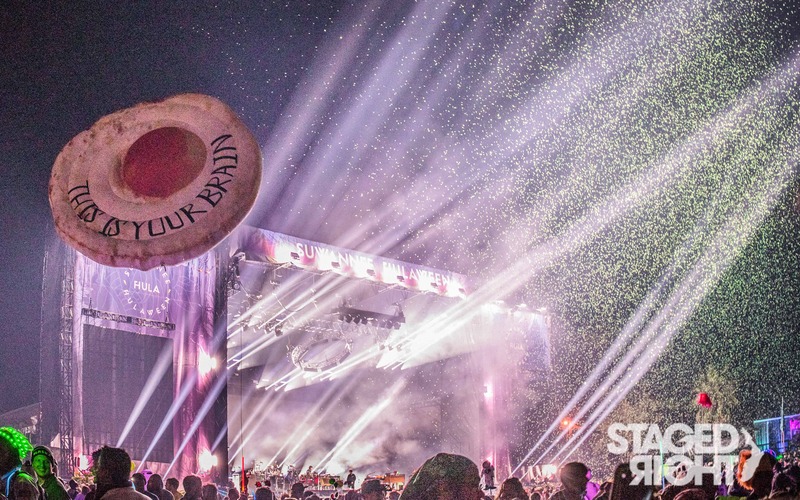 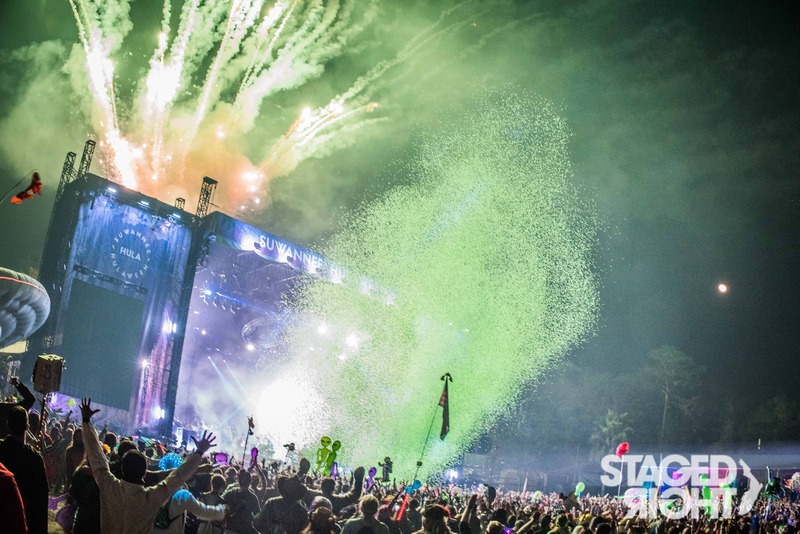 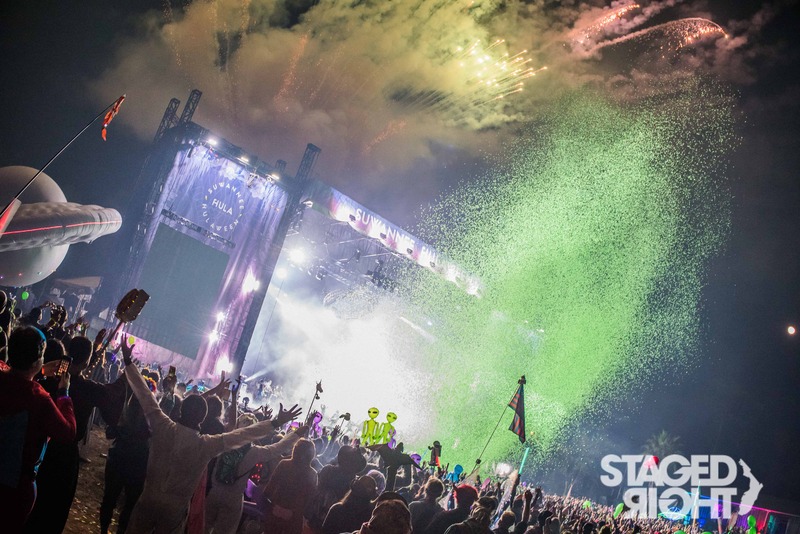 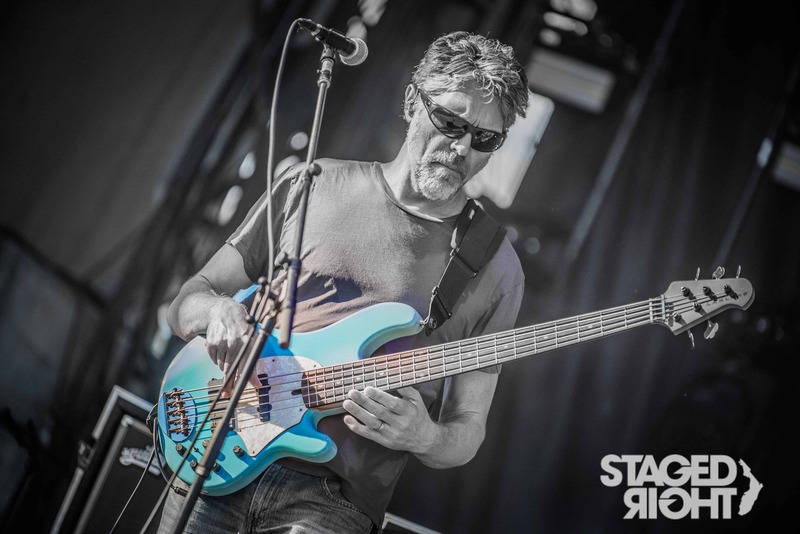 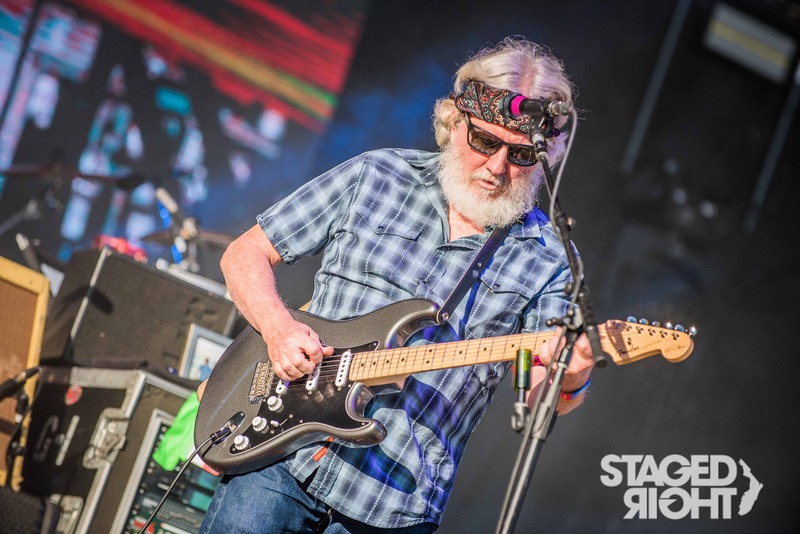 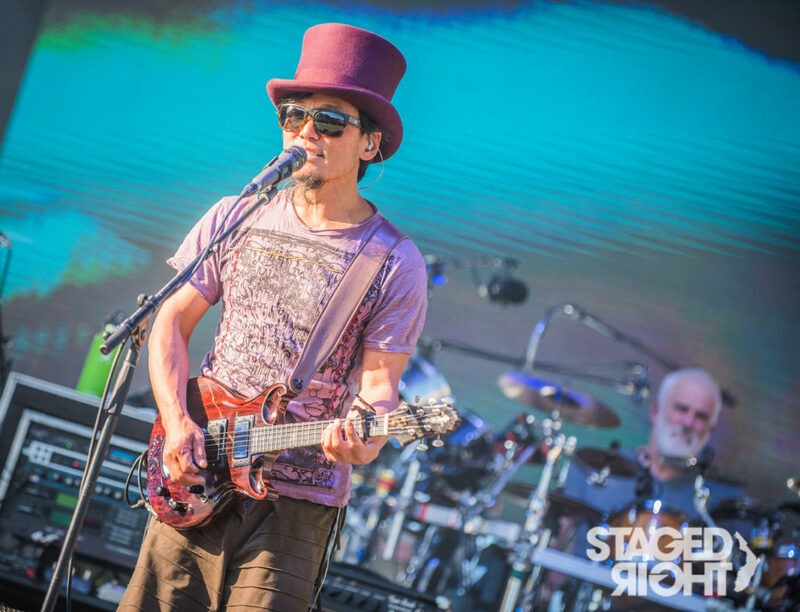 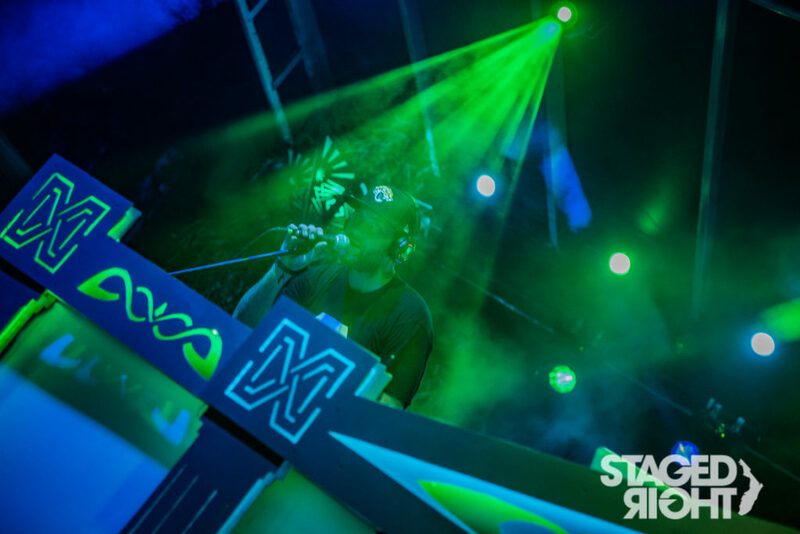 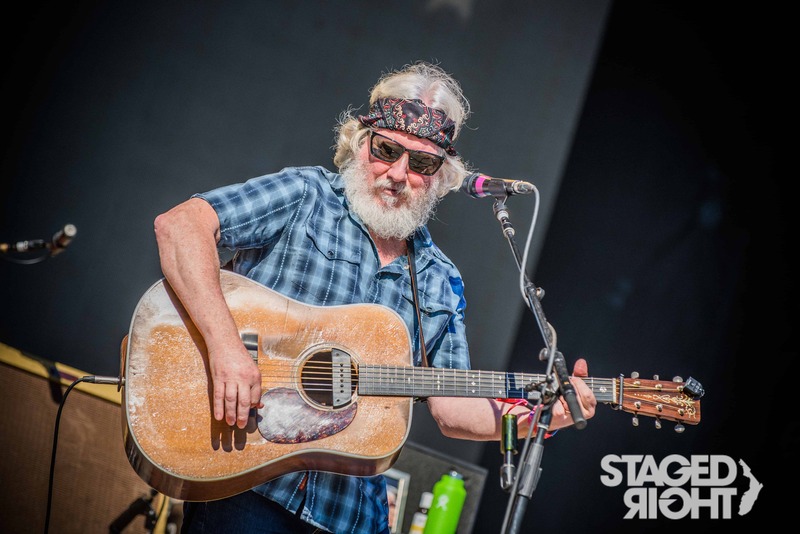 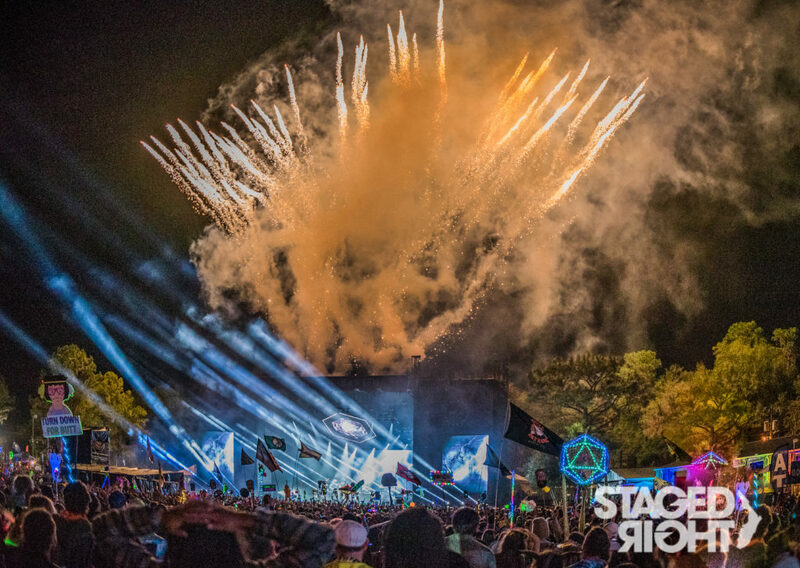 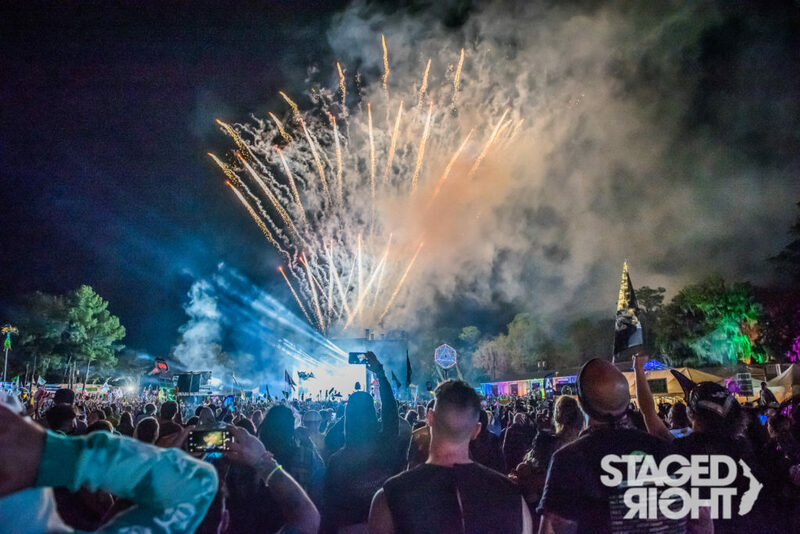 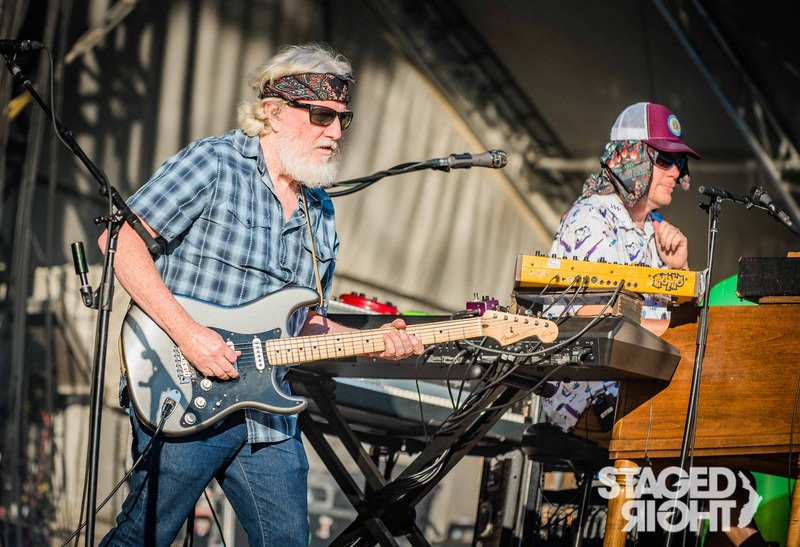 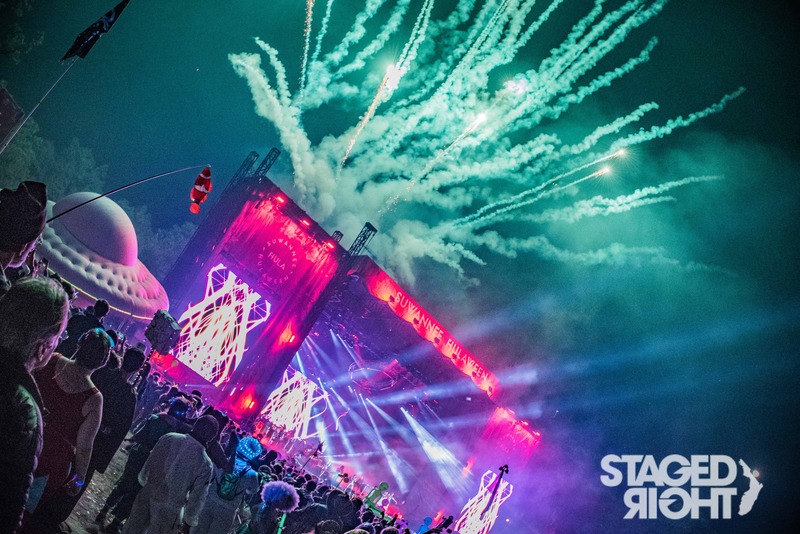 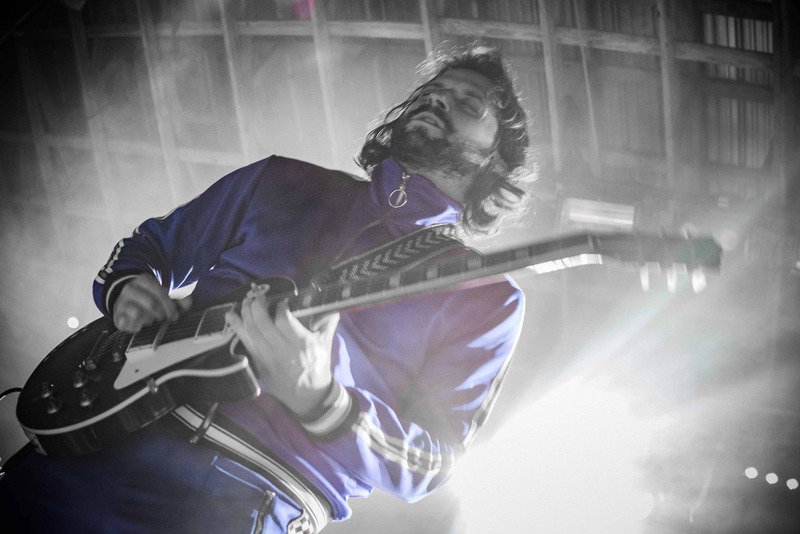 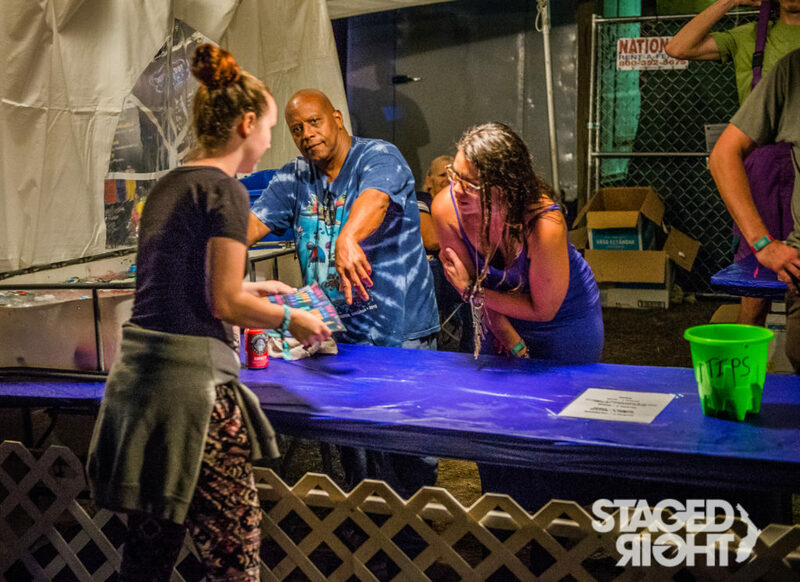 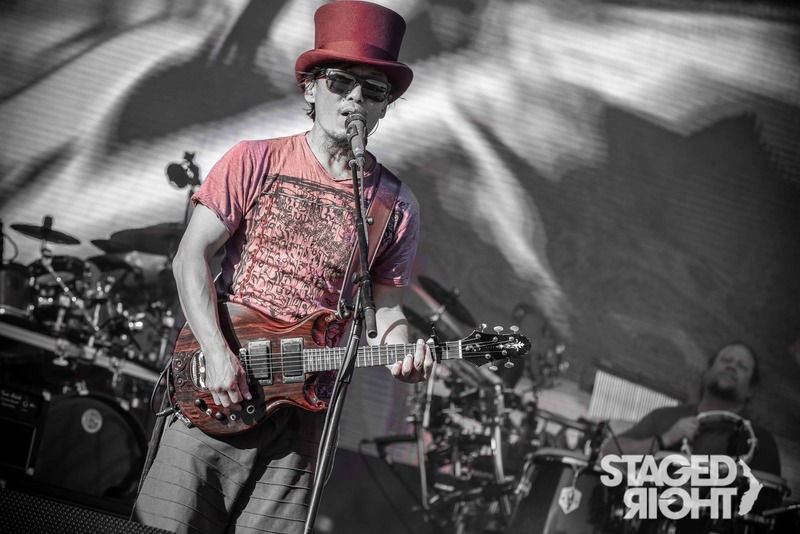 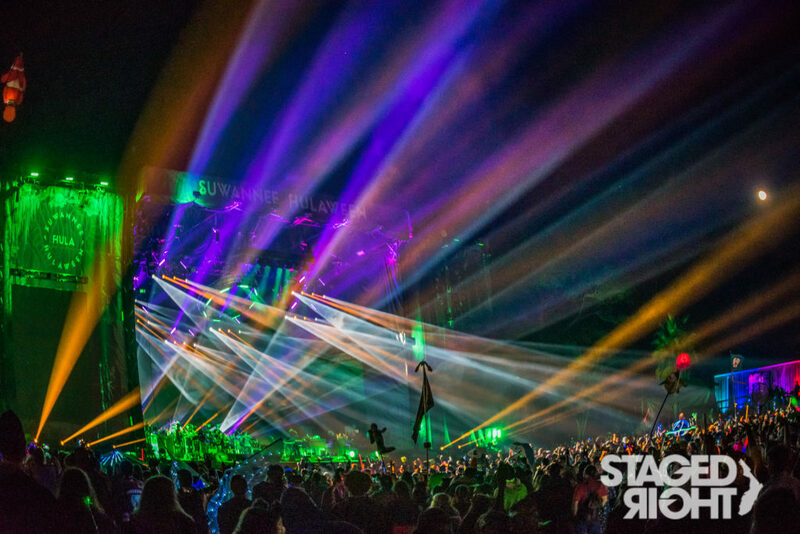 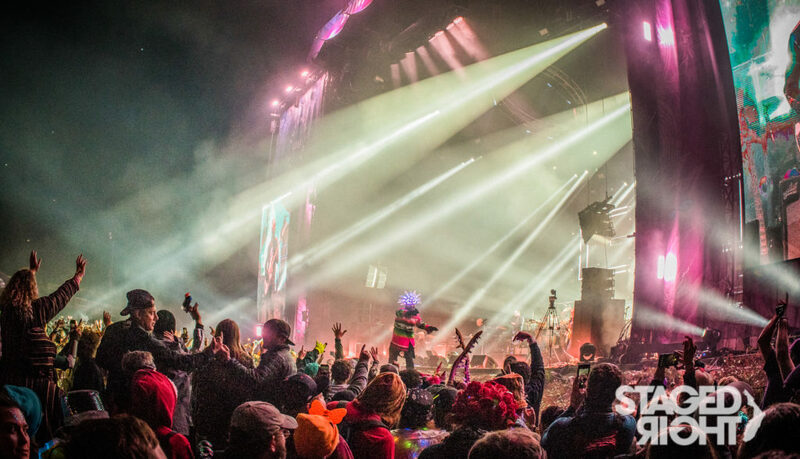 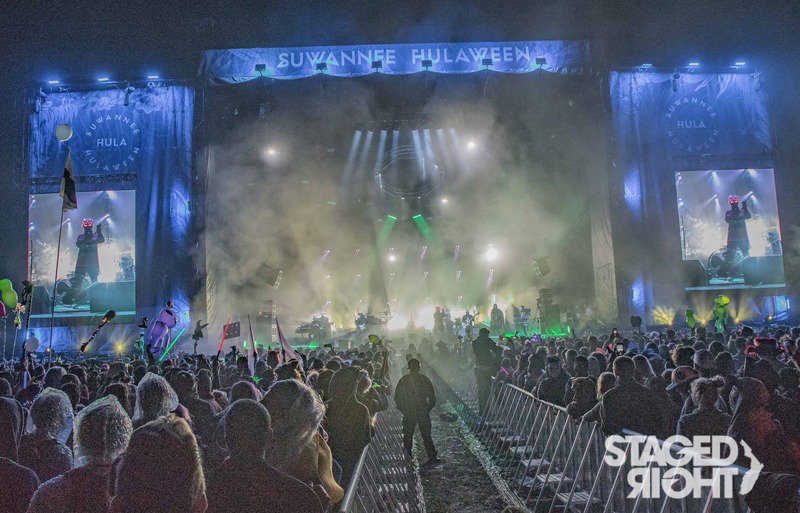 Hosted by Colorado jamband The String Cheese Incident, who perform seven full sets annually, Suwannee Hulaween represents the creme de la creme of festival lineups and diversity. 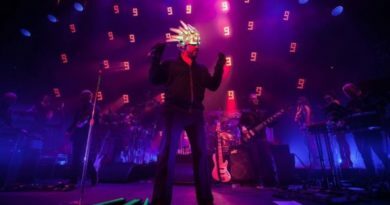 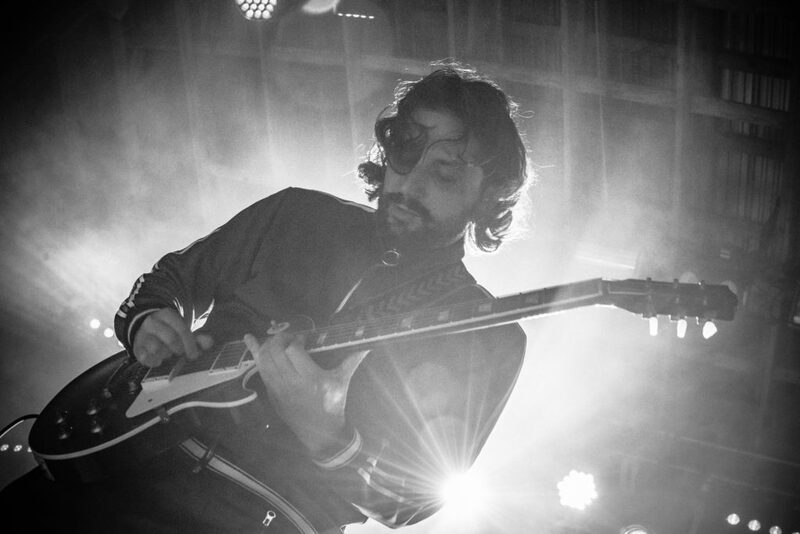 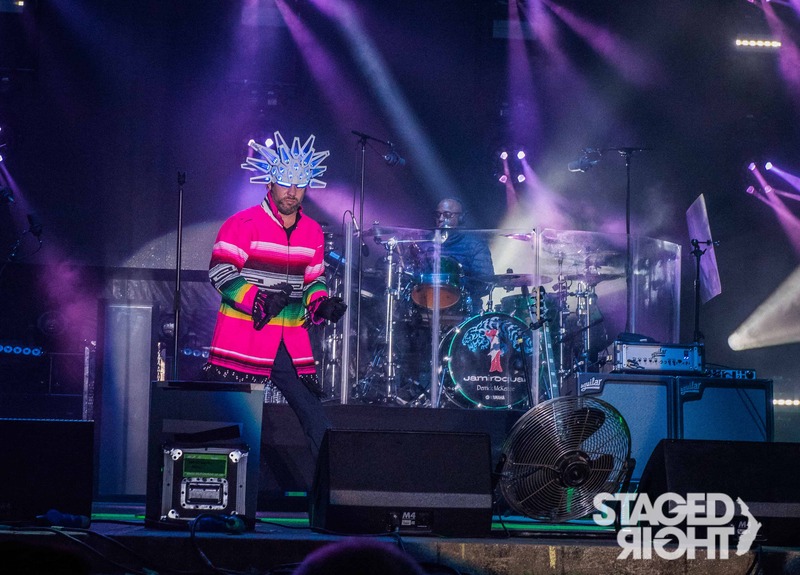 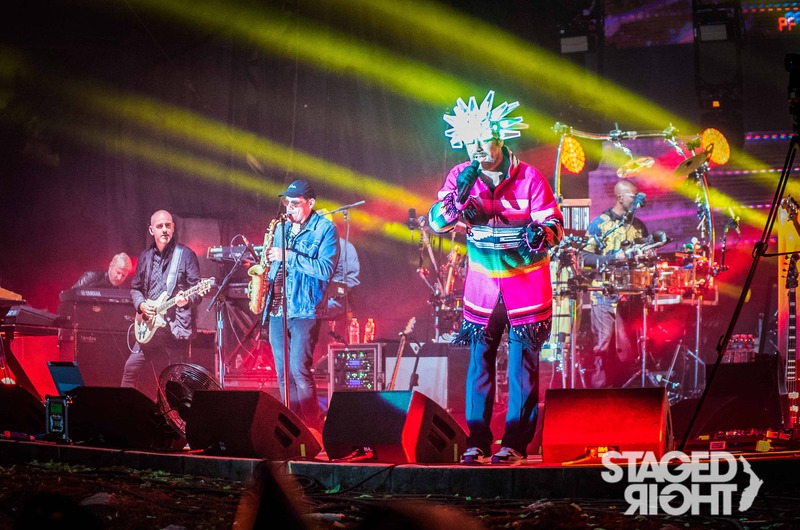 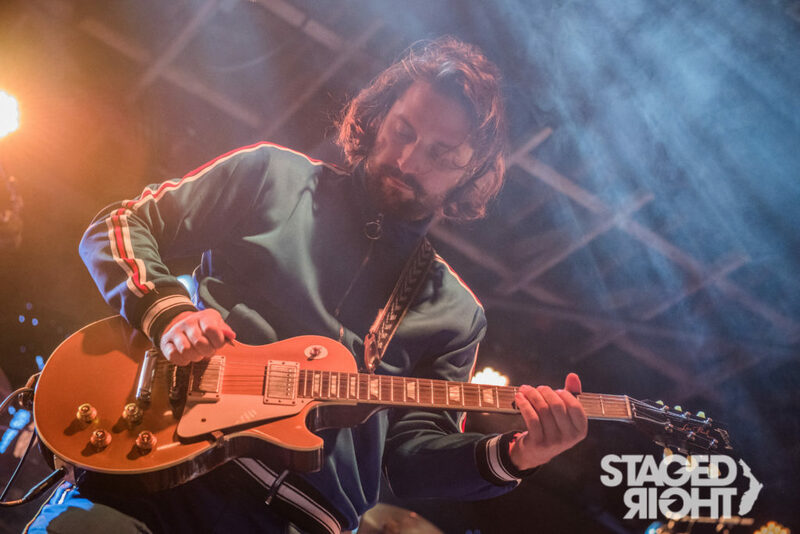 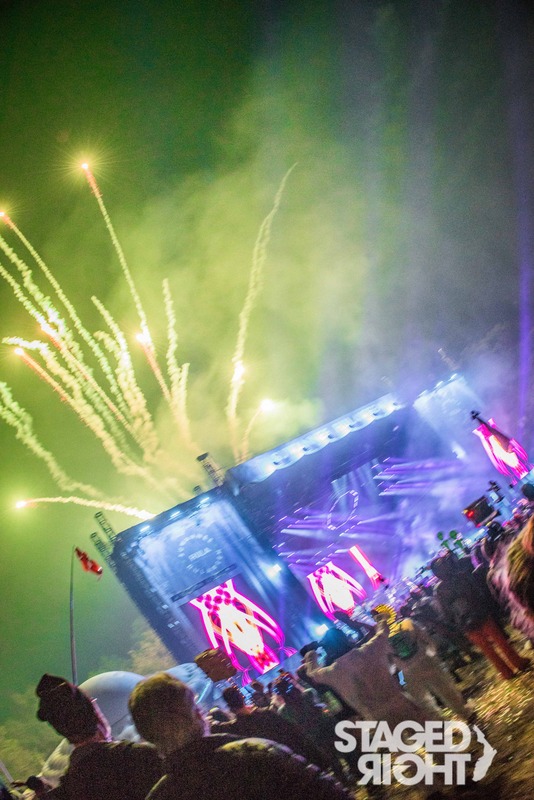 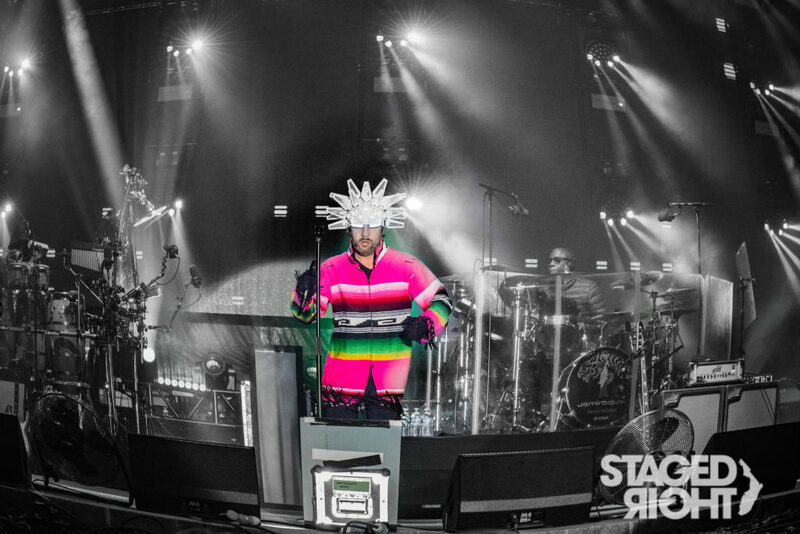 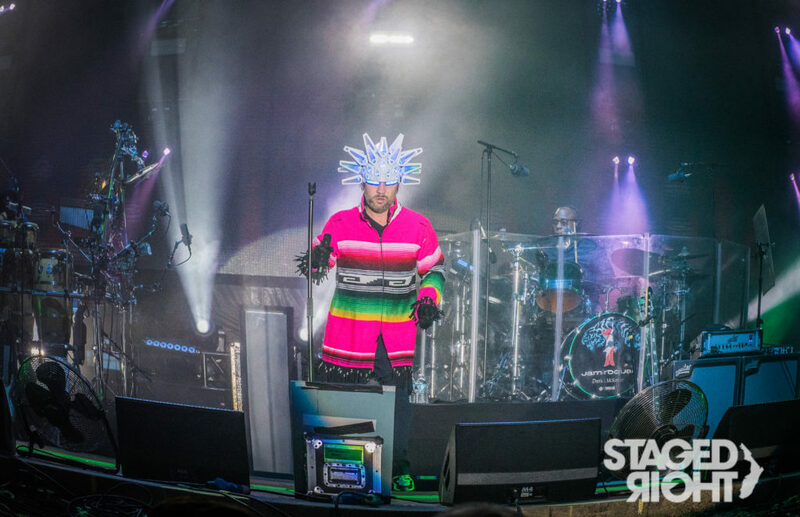 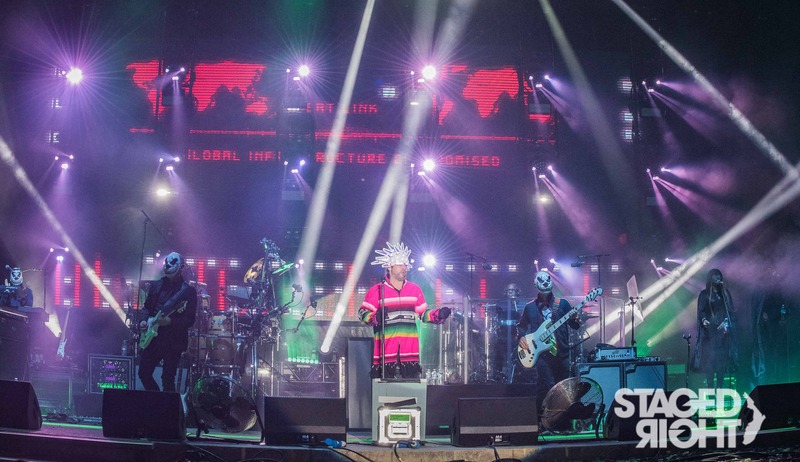 This year, the festival delivered on a dream by booking UK electro-funk icons Jamiroquai, as well as the return of Odesza, and the red-hot femme fatale Janelle Monáe to round out the headliners. 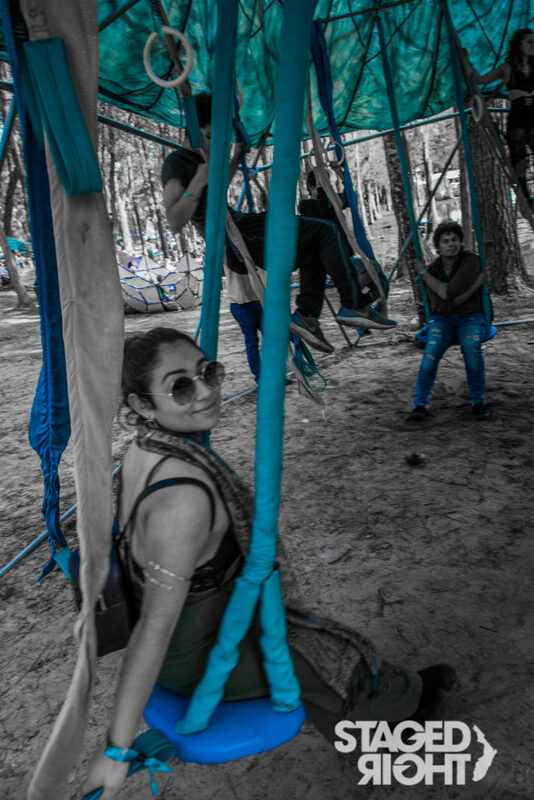 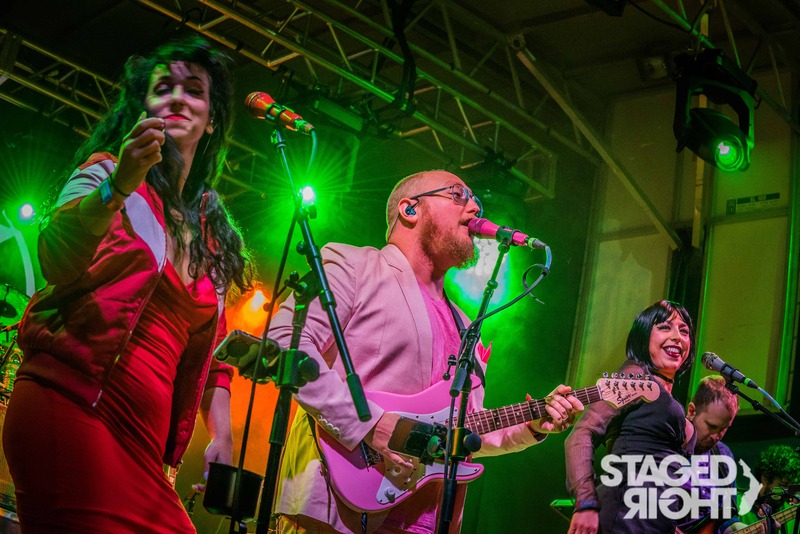 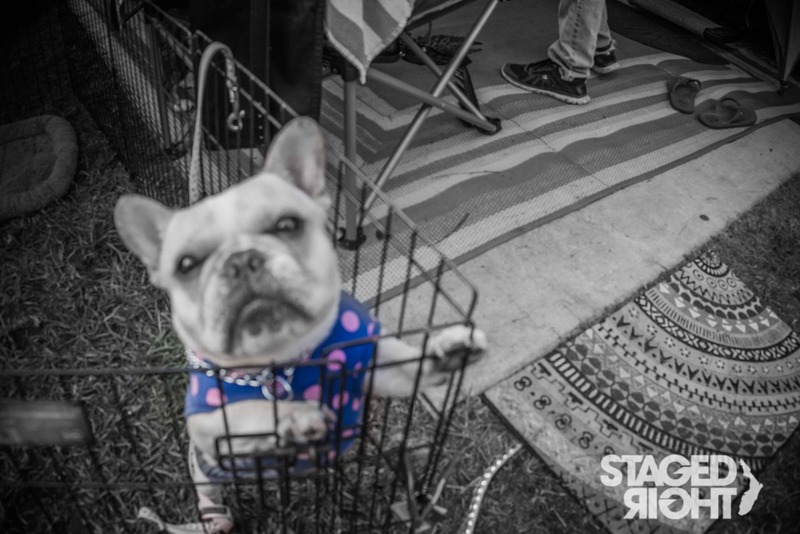 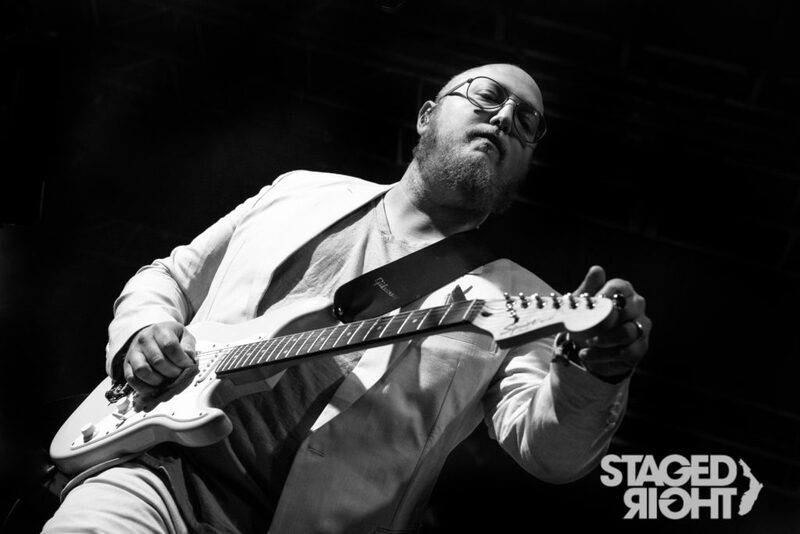 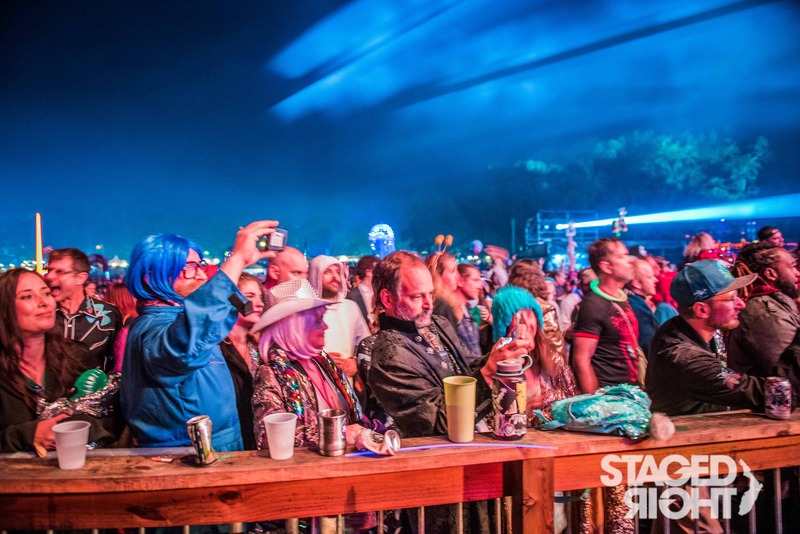 Most notably, there was a premium placed on featuring women on this year’s lineup card, and Mavis Staples, Rezz, Lizzo, Bishop Briggs, CloZee, Jennifer Hartswick were just a few of the phenomenal female performers that graced the various stages at SOSMP. Hulaween has always struck me as a forward-thinking organization/organism, and 2018’s collection of artists, and the intention behind them, only served to bolster that notion. 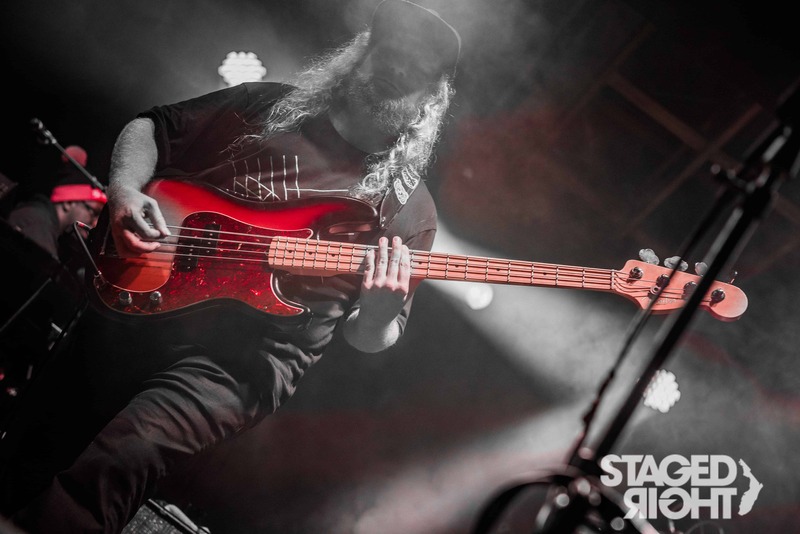 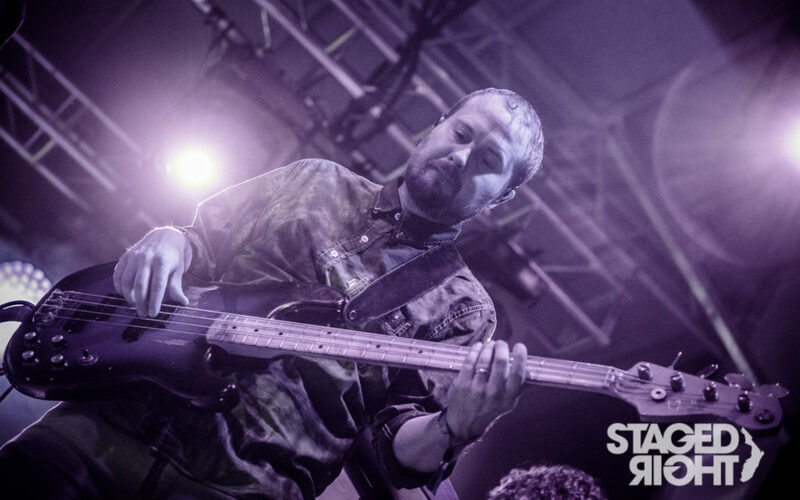 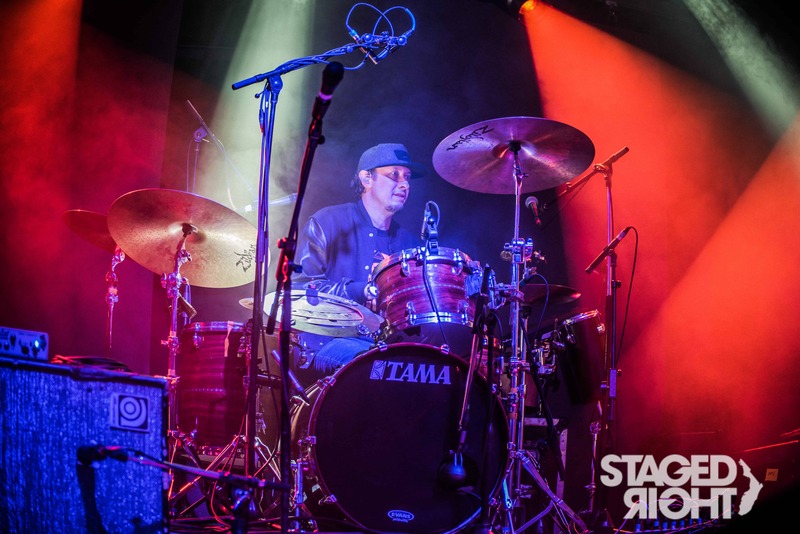 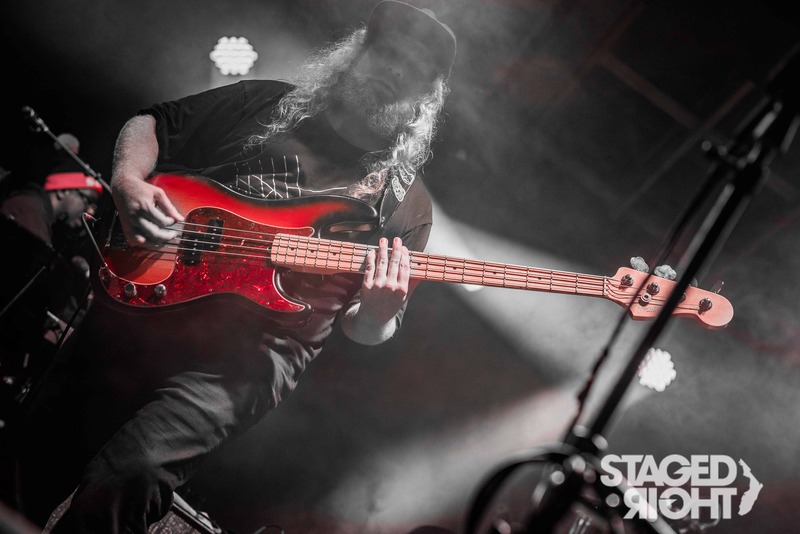 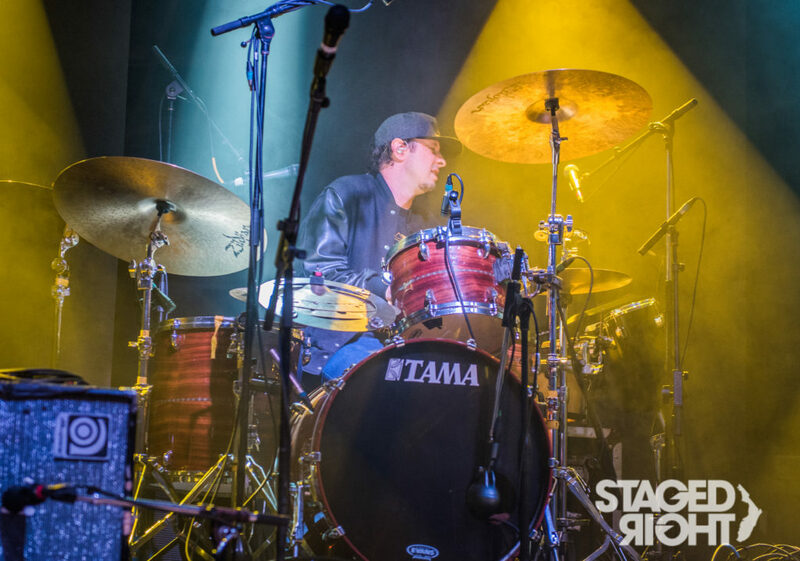 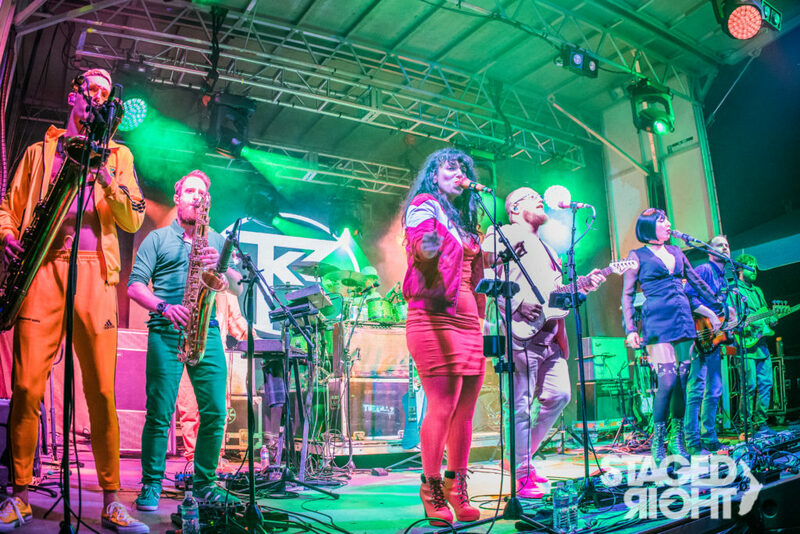 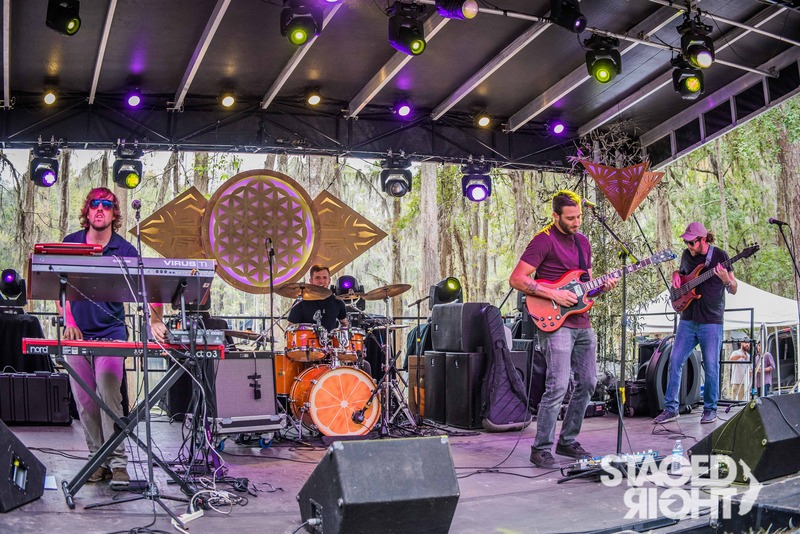 Longtime favorites like Lettuce, Joe Russo’s Almost Dead, Soundtribe Sector 9 and even the likes of The Malah speak to the wide breadth of music that keeps on comin’ back to SOSMP for HULA. 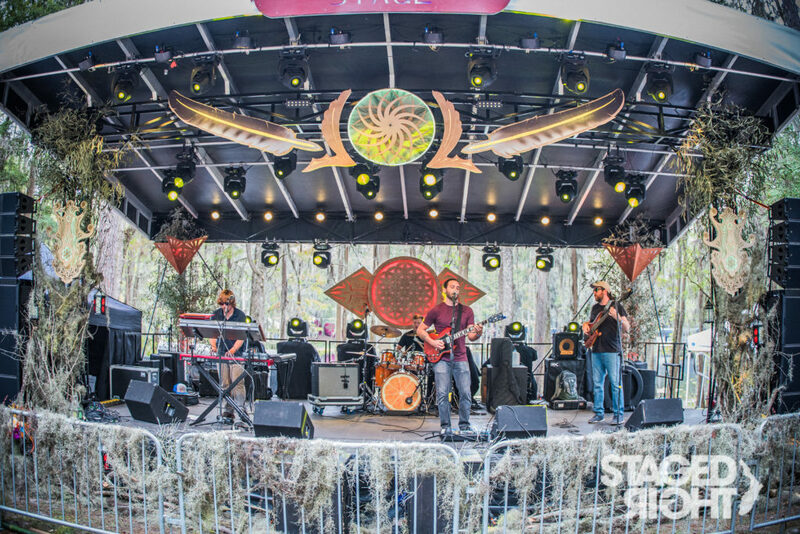 I’ve been blessed to enjoy man festivals at the Spirit of Suwannee Music Park, but HULA is the biggest and baddest of ’em all. Seem like all the festival fam brings their A-game to this event each and every year, and the four iterations (of 6 total) of Suwanneee Hulaween that Upful LIFE has attended seems to get exponentially better. 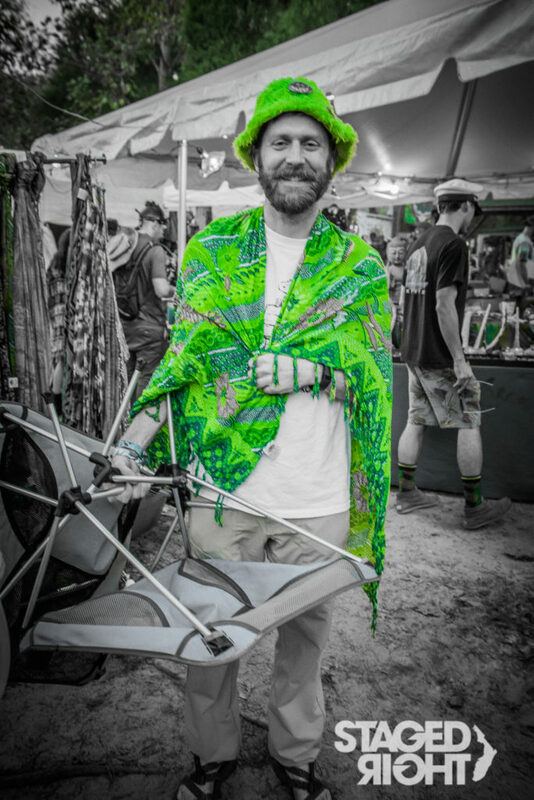 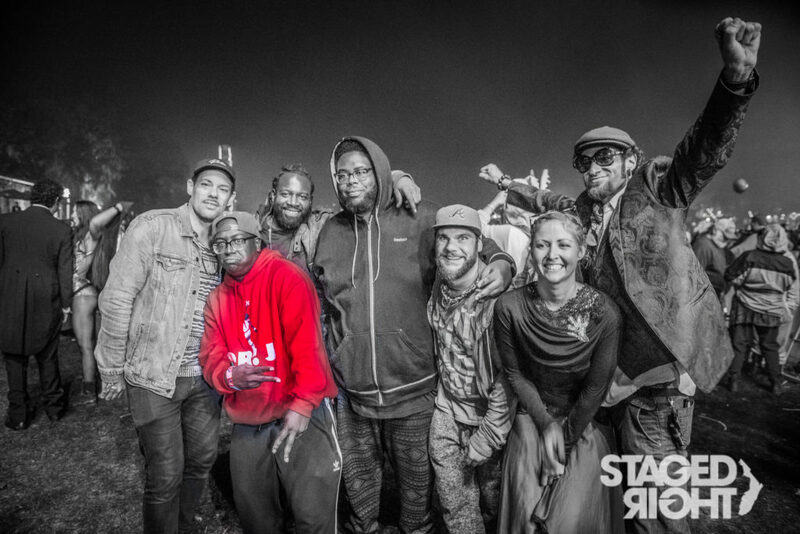 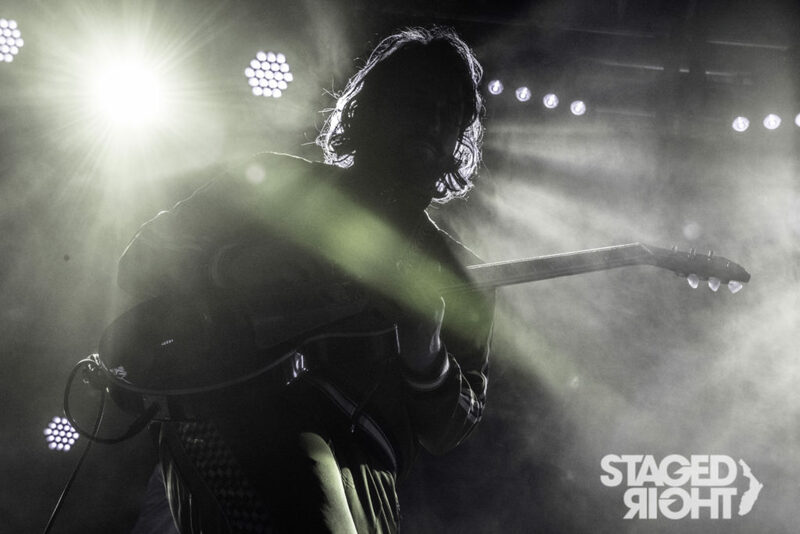 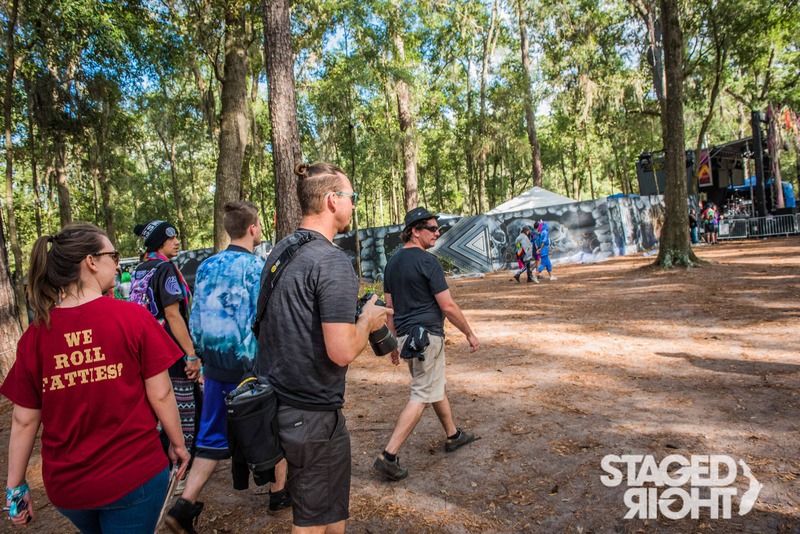 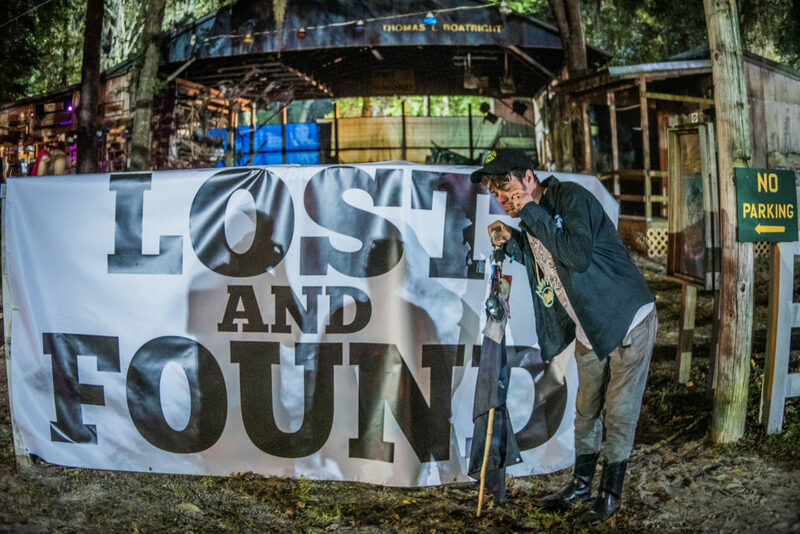 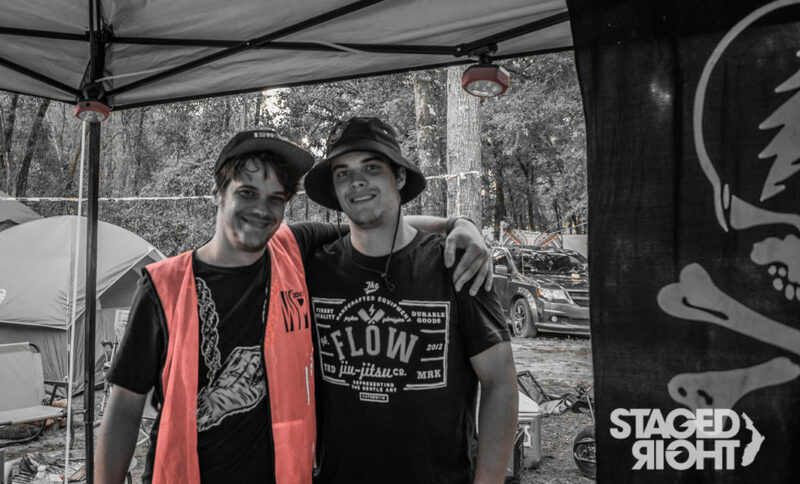 Among our most treasured Suwannee homies is photographer Joey Pye, of Staged Right who we connected with at Bear Creek Music Festival many moons ago. 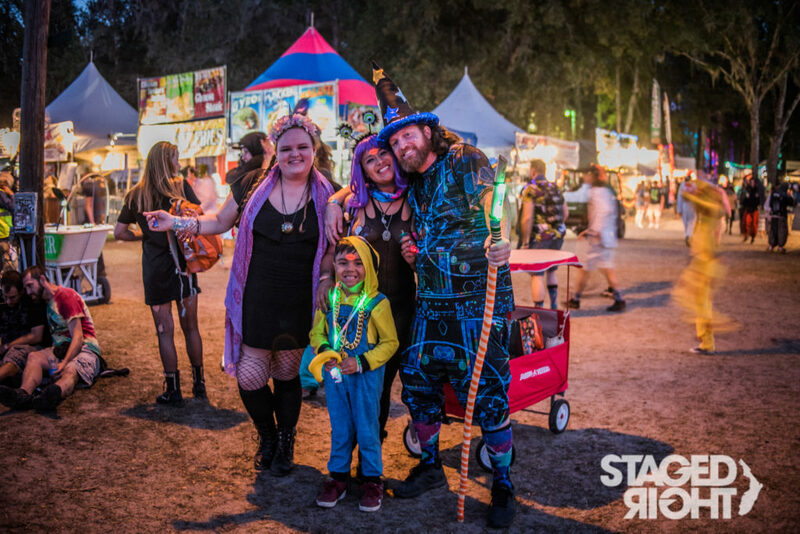 Upful LIFE is proud to present their fantastic photos from Suwannee Hulaween 2018! 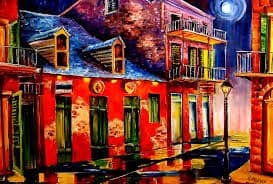 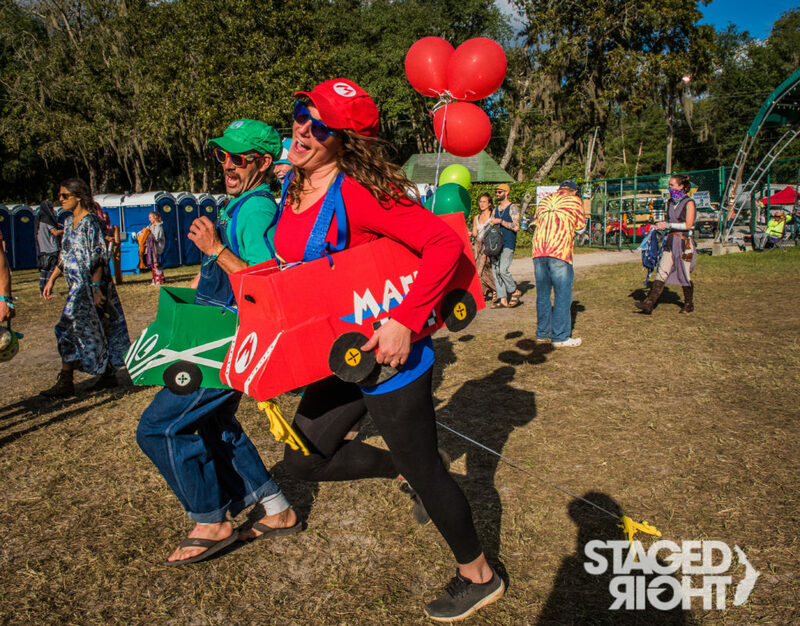 Check out STAGED RIGHT Here! 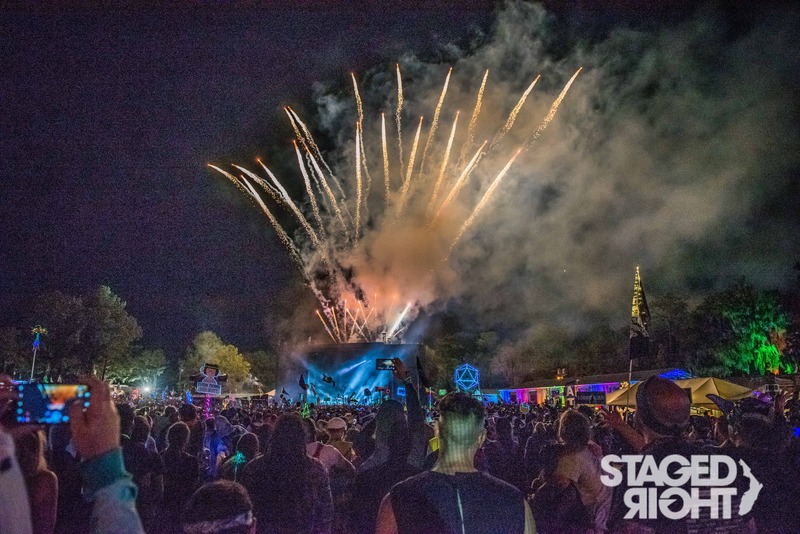 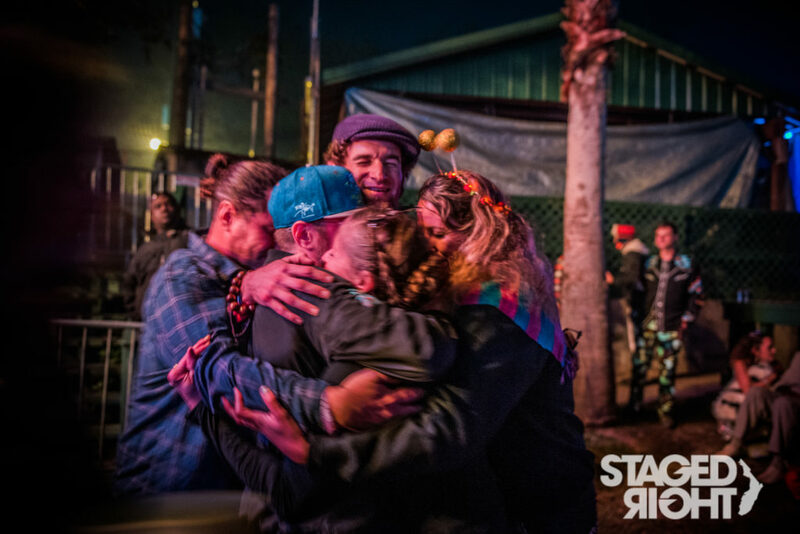 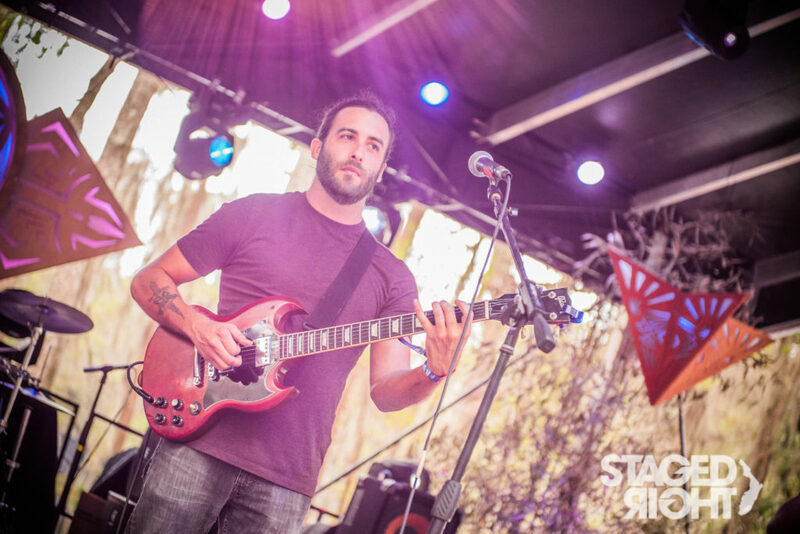 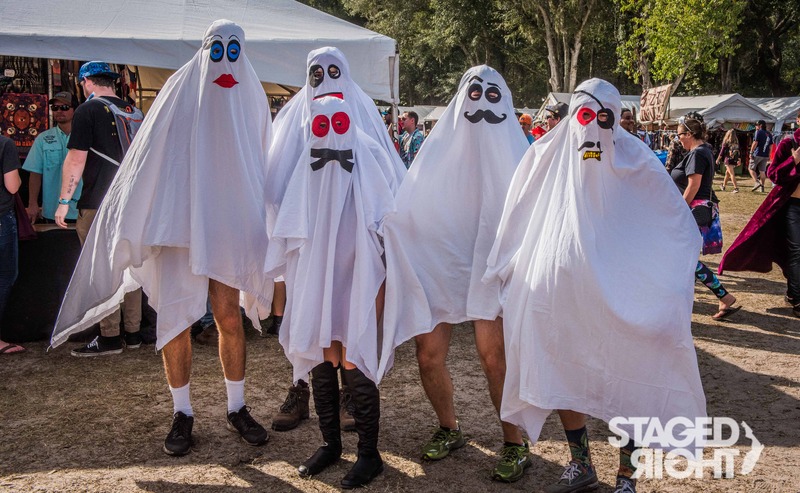 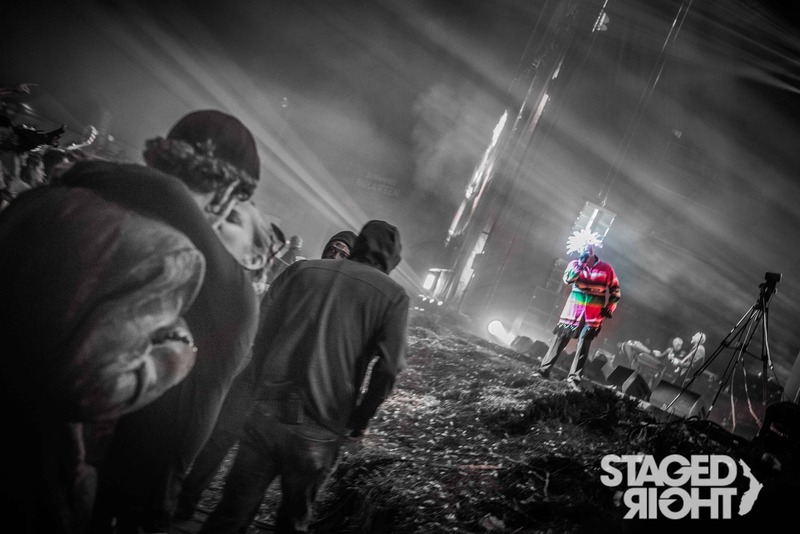 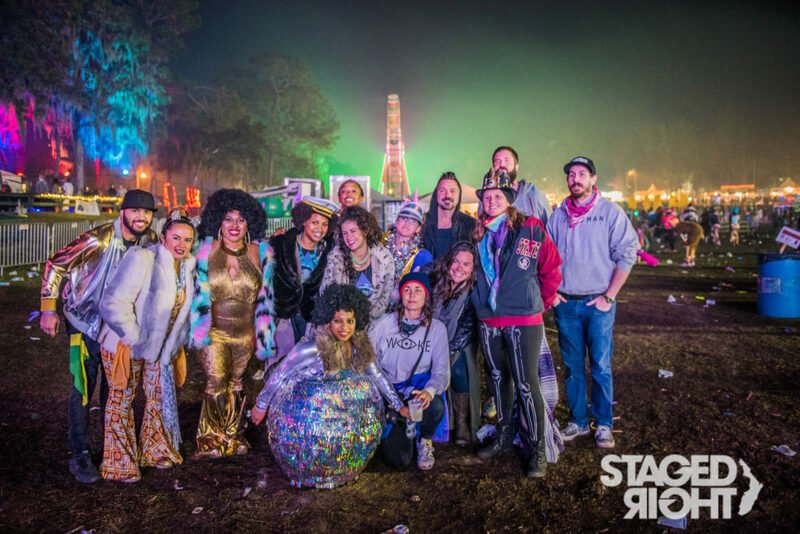 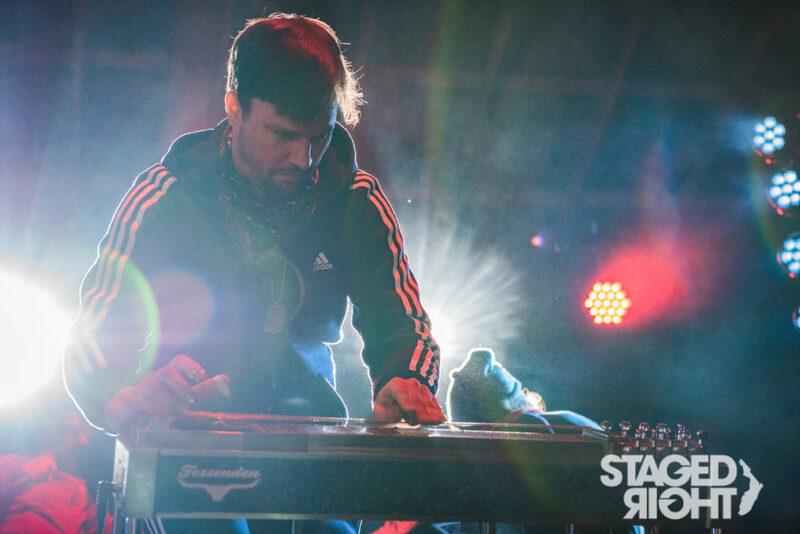 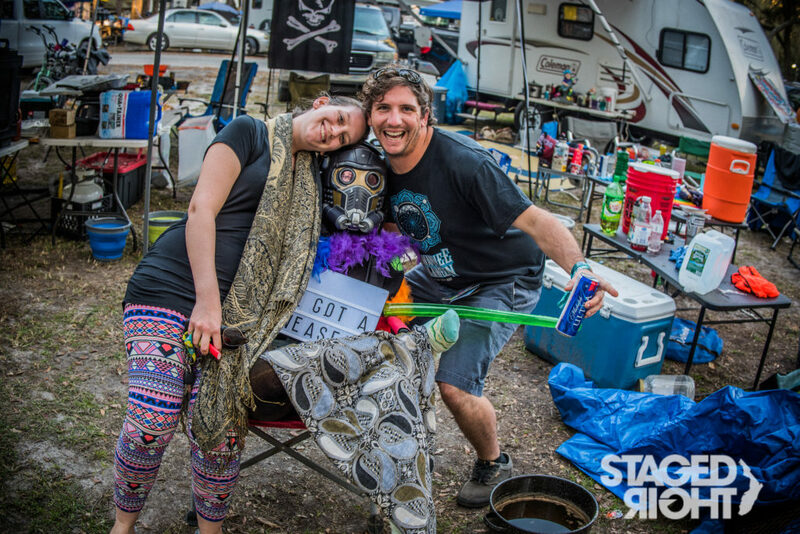 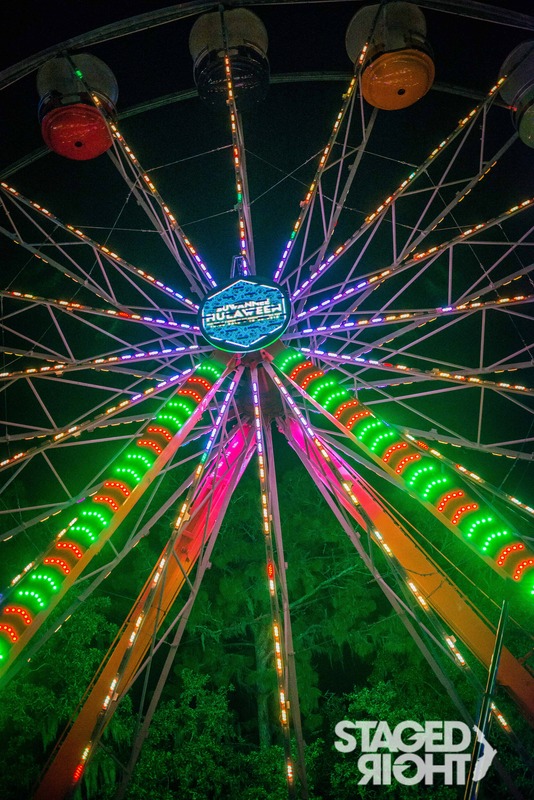 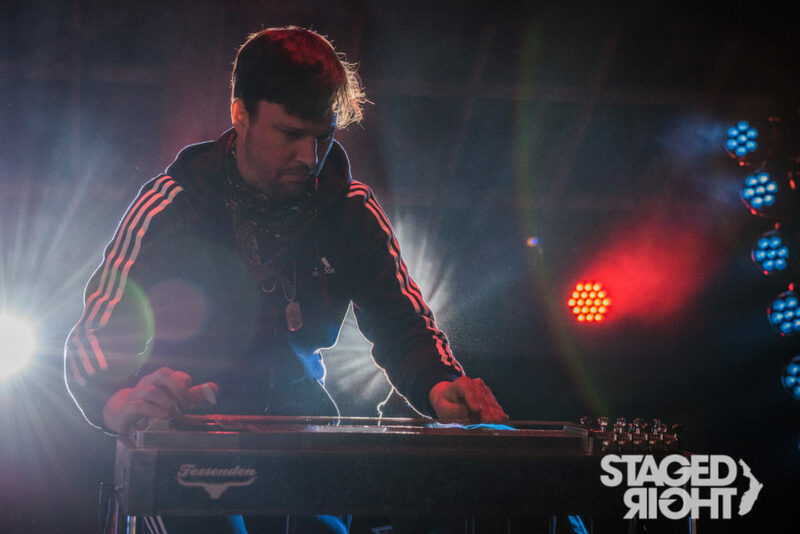 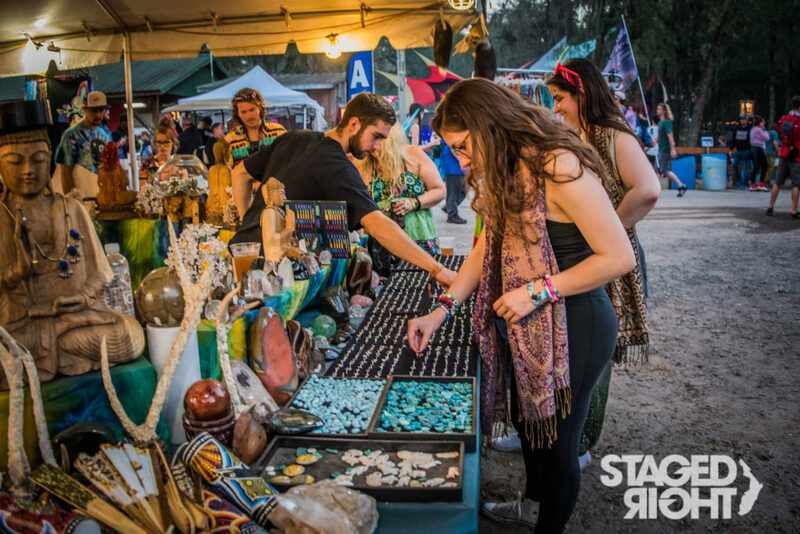 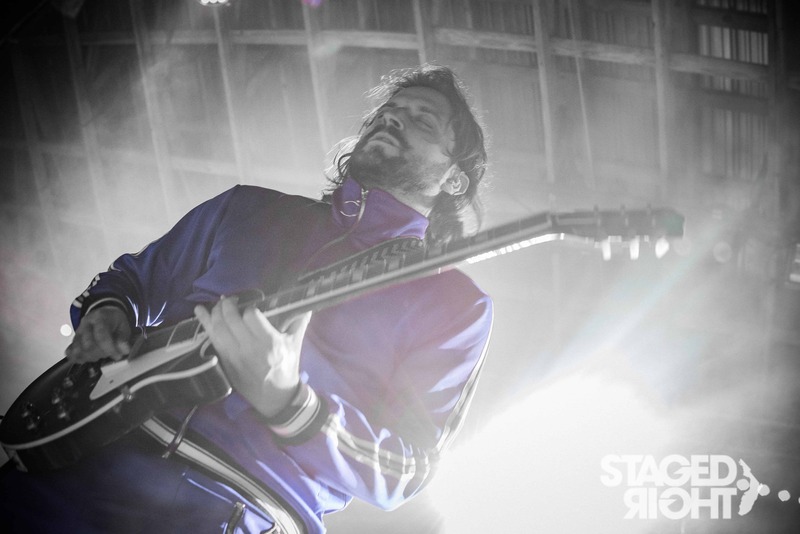 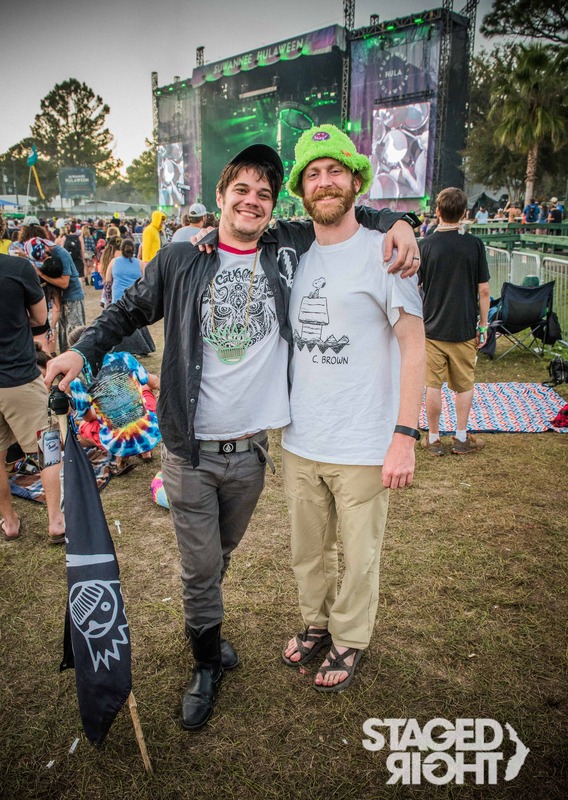 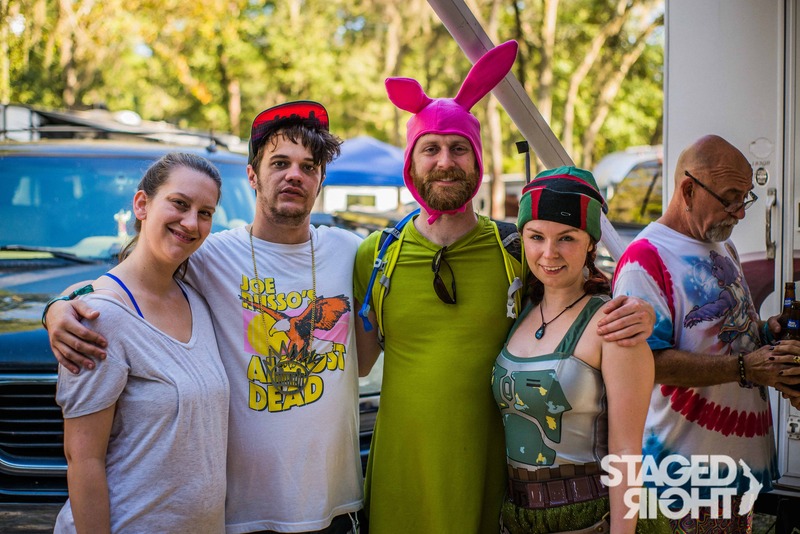 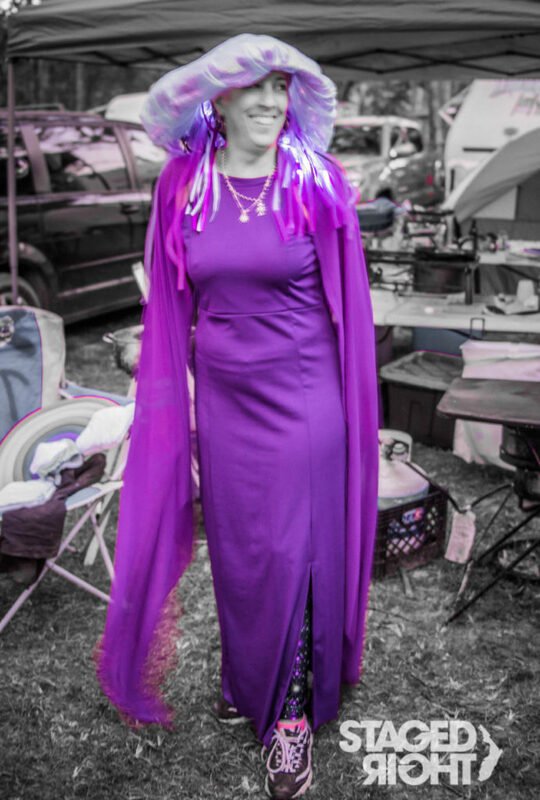 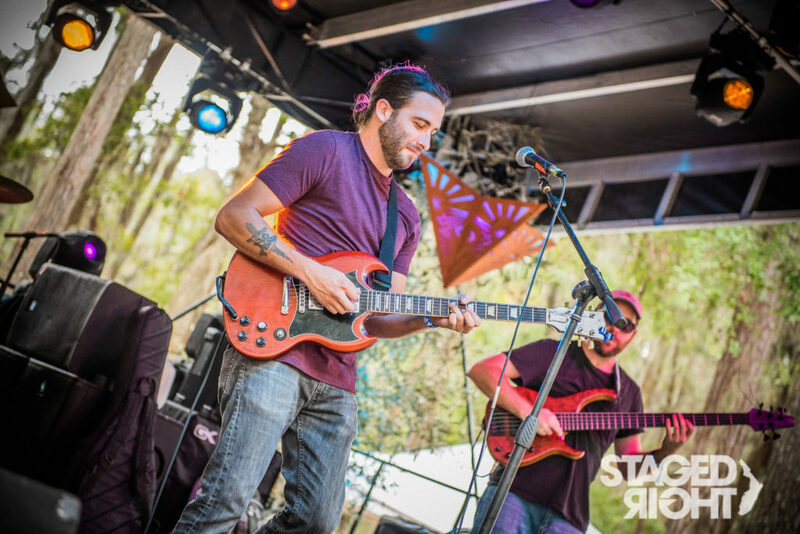 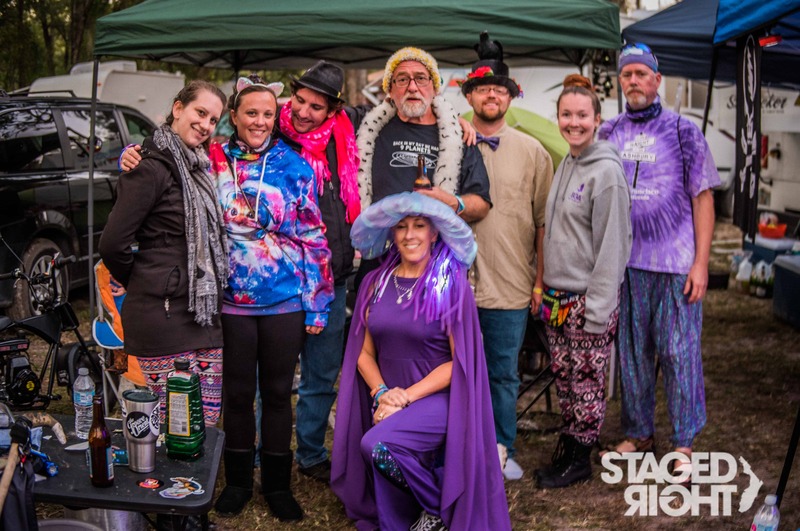 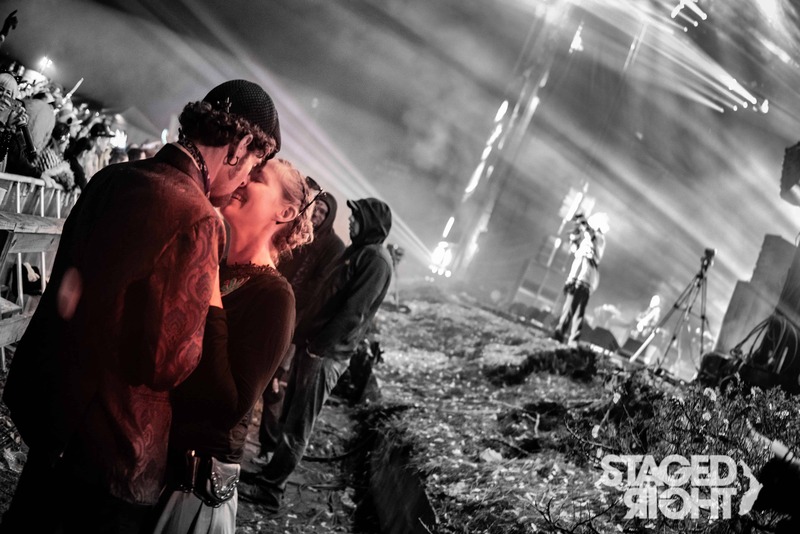 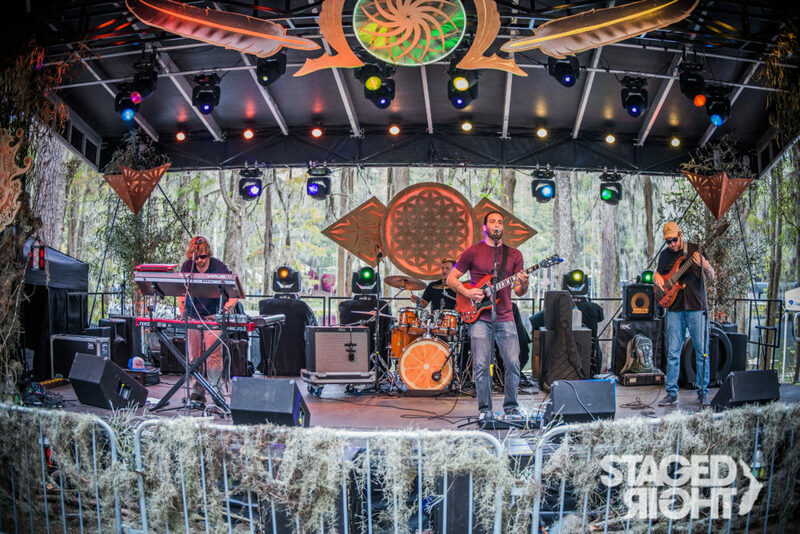 Read B.Getz’s 2018 Suwannee Hulaween reflection here!